The Carter pants are comfortable, easy to wear and universally flattering. Made from fluid silk charmeuse, they have sharp pleats along the fitted waist and fall to a full length hem. 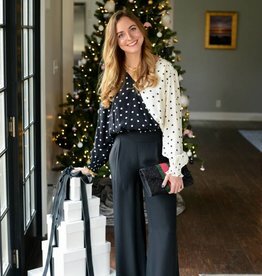 Whimsical and feminine, this faux wrap blouse features white and black dots on black and champagne background. 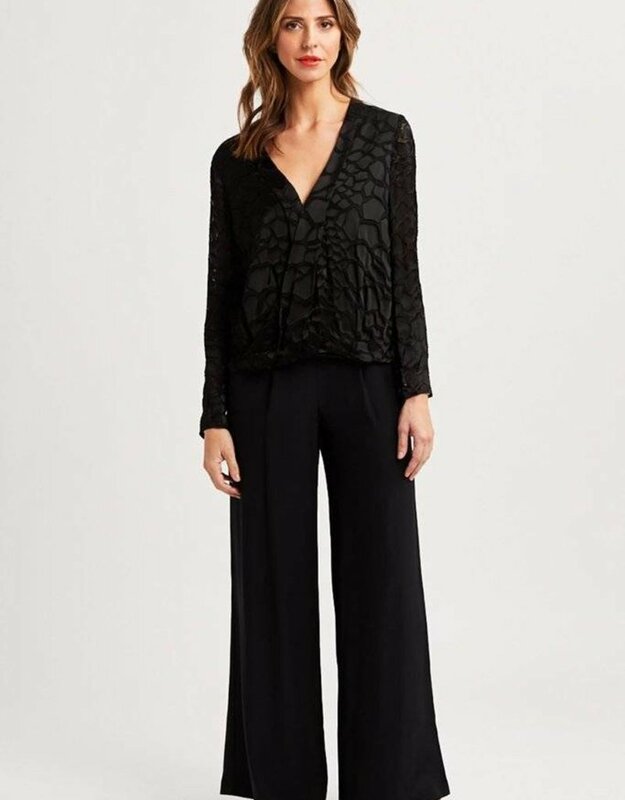 Looks great with the Carter Silk Pant.